It was Laura’s own struggles with breastfeeding that highlighted the need for more support in this area. Her background is in the pharmaceutical industry where she felt too far removed from the impact she was making on others Iives to be truly content. The change to her career came just as Laura was laid off from her job and pregnant with her third child. Like many others before her, she took him to the breastfeeding clinic while she obtained her clinical hours. Just like breastfeeding success, she credits the support of her entire family to reach her goal of becoming an IBCLC. She sees families at home pre and post natally in the York, Durham and surrounding areas. She is staff at the Newman Breastfeeding Clinic in Toronto. 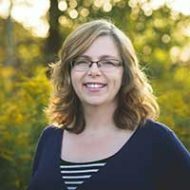 She has also recently become Treasurer of the Canadian Lactation Consultants Association (CLCA) and is a founding member of the Ontario Committee to Regulate Lactation Consultants. Laura has a Bachelor of Arts and Science from Athabasca University, and a diploma in Science Laboratory Technology from Fanshawe College.